Waymo, Uber and others are testing self-driving vehicles, but their timelines are likely to slow after last week's fatal accident. TORONTO — Mass market driverless vehicles may be ready for the road later than previous estimates, but BlackBerry Ltd. CEO John Chen said Wednesday he doesn't consider that a problem for his company's autonomous vehicle technology plans. "An awful lot of things have to happen between now and then to make that happen including, but not limited to, government policy on safety standards," Chen said. 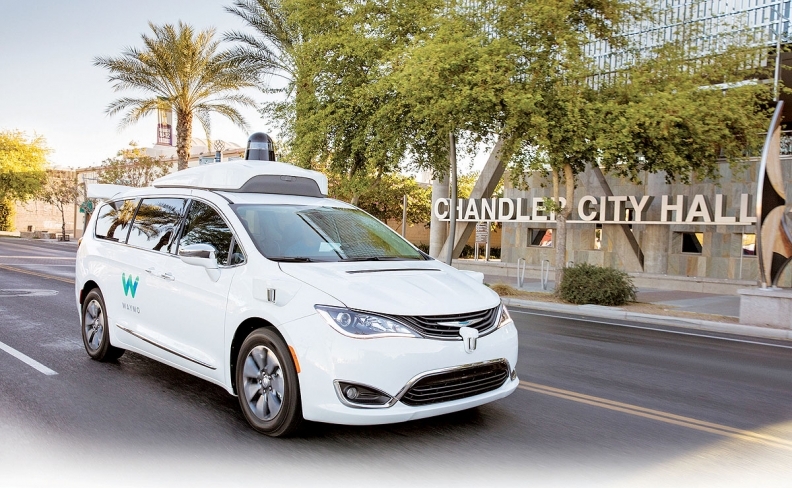 Chen has heard, anecdotally, that the introduction of commercially available autonomous vehicles might come later than 2021, a stated goal of BMW and Honda. Chen said it's hearsay but "I believe 2025 makes quite a lot of sense." BlackBerry's QNX conducted a basic street test in Ottawa at the Kanata North Technology Park in October but its next step will be to participate in a test track trial in Toronto with its partner Renesas Electronics America Inc.
Chen said it will be at least a year before BlackBerry's ready for another autonomous vehicle trial on the streets of Toronto. Last week's pedestrian fatality during a test of a Uber self-driving vehicle in a Phoenix, AZ., suburb has caused the ride-hailing company to suspend its on-road testing program, including in Toronto. Chen said BlackBerry isn't a supplier to Uber or to Google-affiliated Waymo. The autonomous car market is currently a small part of BlackBerry's revenue but an important part of its future, Chen said. BlackBerry is positioning itself to supply software components to Tier 1 automotive suppliers, including Canada's Magna International, although it's also working directly with Ford and, more recently Jaguar Land Rover. Earlier Wednesday, BlackBerry announced a net loss of $10 million or six cents per share under U.S. generally accepted accounting compared with a loss of $47 million a year ago. Analysts had estimated a net loss of eight cents per share. BlackBerry Ltd.'s revenue and adjusted earnings also came in above analyst estimates in its fourth quarter, as all three of the company's main software divisions showed growth. The Waterloo, Ont.-based company, which reports in U.S. currency, had $233 million of revenue for the quarter ended Feb. 28. Its operating income was $19 million or five cents per share. Analysts had estimated BlackBerry would have $216.4 million of revenue for the quarter and break even on an adjusted basis, with zero cents per share of operating income, according to Thomson Reuters data. Chen, who has been BlackBerry's chief executive and executive chairman since joining the company in November 2013, said he was pleased with the company's progress since it decided to stop manufacturing smartphones. All three of its software divisions — focused on enterprise, intellectual property licensing and automotive markets — grew in the fourth quarter, both year-over-year and quarter-over-quarter, he said. "Our strategy is working," Chen said. "This gives us confidence that we could capitalize on the significant market opportunities available today as well as in the future." The current opportunities include enterprise software and services that provide governments and regulated industries, such as banking, the tools to provide secure communication for their employees, partners and customers. "The heritage of BlackBerry gives us the right to play in this area, both from a know-how and a reputational point of view," Chen said in an interview. He said there's an opportunity to "upsell" to current enterprise customers with products and services such as the BlackBerry Bridge, announced last week, which is designed to provide heightened security to all Microsoft Office applications used by an organization's workforce, suppliers and business partners. The Bridge product is currently in final customer trials prior to general availability. Besides its traditional vertical market segments, BlackBerry is seeing expanded opportunities within the hospital, pharmaceutical and energy markets. It's also building its presence in China, Korea, and Japan, he said. For Chen, BlackBerry's future includes opportunities for securely connected devices, such as its Radar hardware and service for the trucking industry, and for QNX software embedded in connected and autonomous vehicles. BlackBerry's shares were little changed Thursday, trading at about $16. That's up nearly 70 per cent over the past year. Two weeks ago, the company announced a five-year contract extension for Chen, which runs to November 2023 and is weighted toward long-term performance-based equity and cash awards, in addition to a time-based equity award. His base salary, short-term cash incentive and benefits won't change.